Gender Detector is a high tech futuristic fingerprint scanner that attempts to determine your gender based on your thumb print scan! 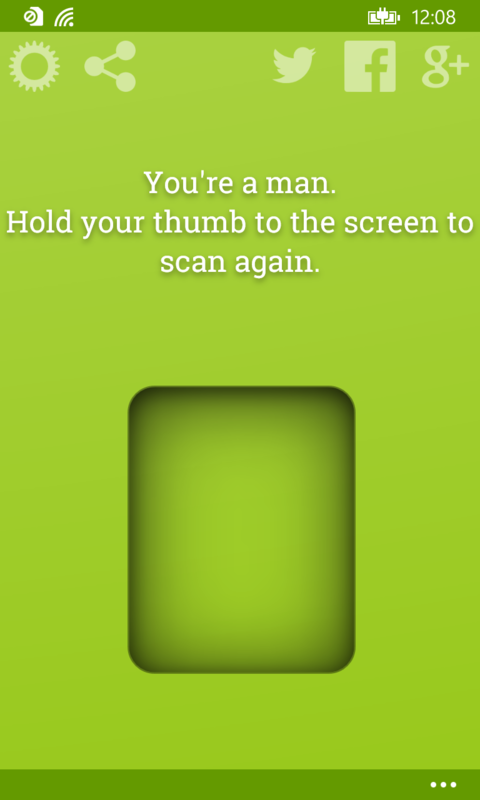 Simply place your thumb on the scanning pad, wait for the scan and calculation to complete, and see what the app thinks your gender is! Gender Detector is for entertainment purposes only, and does not actually scan your finger print for real. That would be impossible. It's still a great gag for parties or for impressing the ladies at the club! 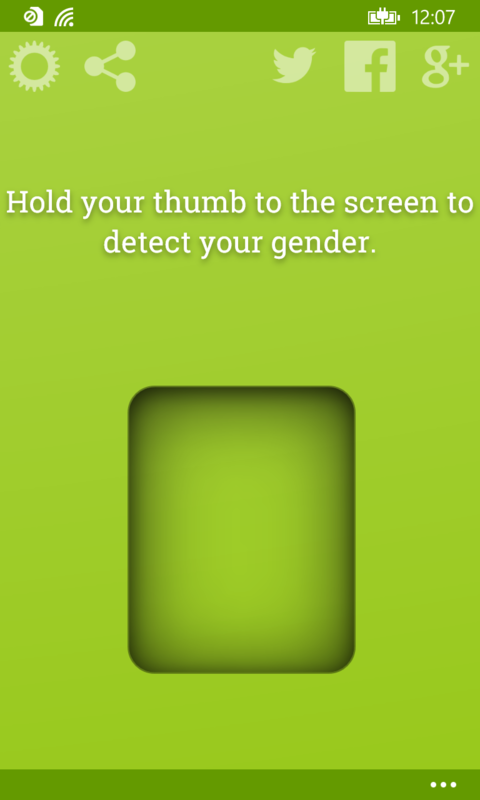 Gender Detector fingerprint scanner takes playing jokes on your friends and pranking your enemies to new heights! 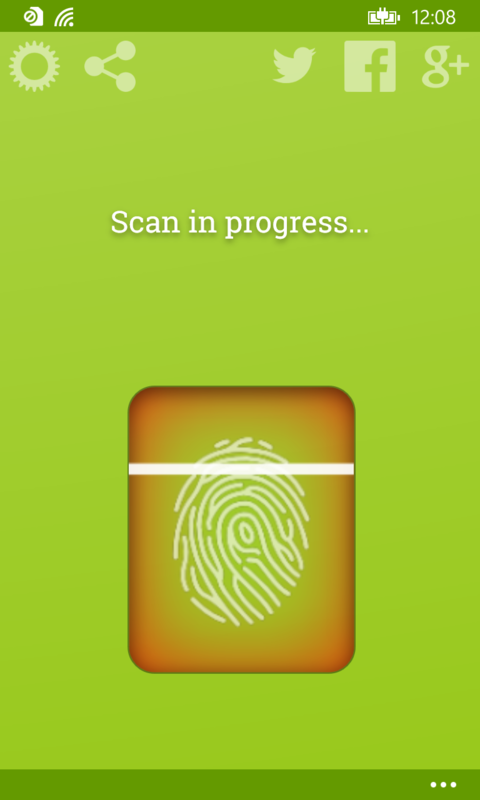 The custom response feature gives you the power to make the app say whatever you want it to after you scan a fingerprint. Make it say your little brother is a girl! The possibilities are endless! - Play jokes on your friends and family! - Prank your neighbors into thinking you phone can detect their gender! - Has a realistic scan bar that makes it look like it's actually reading your print! - Easy to use, no instructions required! - Can be used over and over for hours of endless fun! It might end up being more accurate than you think! I am always looking to improve my apps, so please leave comments with suggestions on things I can add to make it better! I update often based on feedback! What are you waiting for!? Impress your friends! Fool your enemies! Get the girl! All is possible when you download Gender Detector!